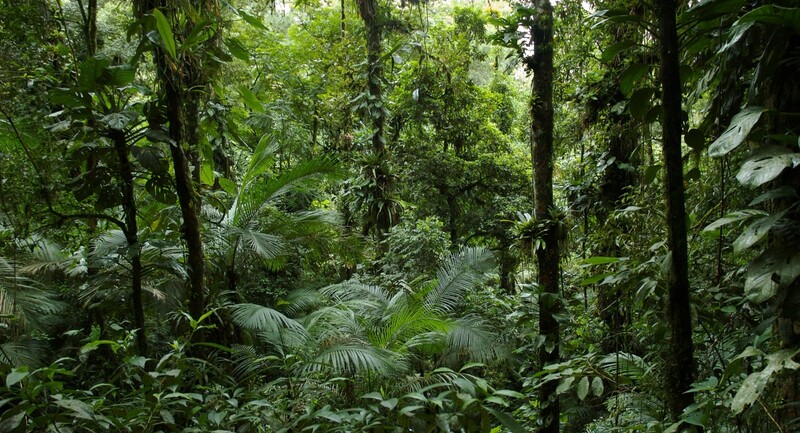 In 1982, Daniel H. Janzen and Paul S. Martin advanced the hypothesis that a number of plant species we see in present-day forests shows fruits and seed dispersal adaptations not consistent with their interactions with extant frugivores. Thus, only when we consider the extensive frugviory shown by the extinct Pleistocene megafauna (horses, toxodons, gomphoteres, mastodons, macrauchenias, etc.) we can understand how these species evolved the fruit traits we see nowadays. How then, did these tree and shrub species persist in the absence of the animal mutualists they required for population persistence? The core of the hypothesis expects these anachronic dispersal systems to be best explained by interactions with extinct animals, showing impaired dispersal resulting in altered seed dispersal dynamics. 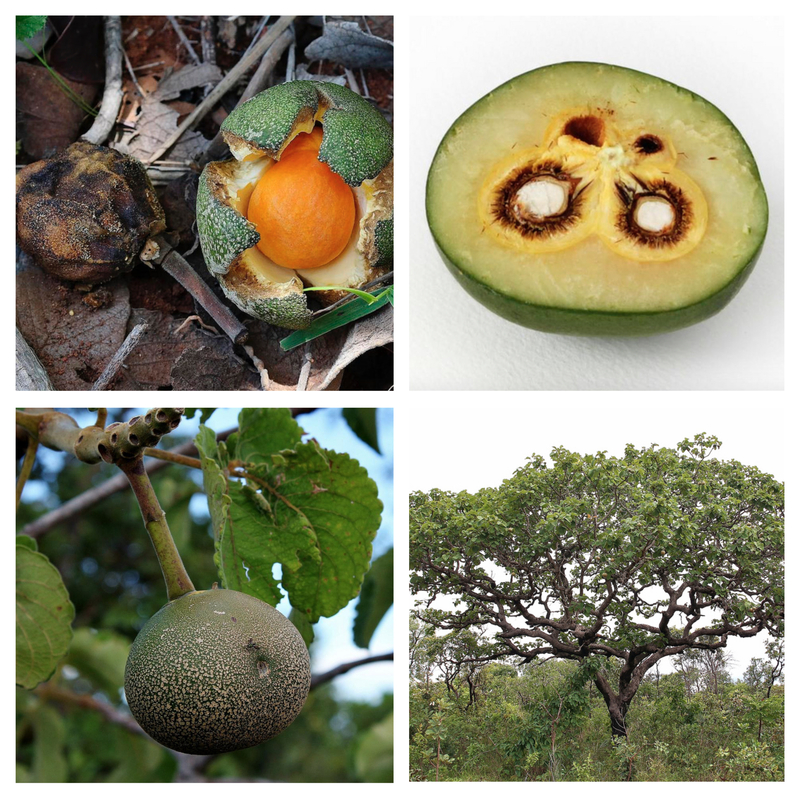 Janzen and Martin defined seed dispersal anachronisms as those dispersal syndromes with fruit traits and phenological patterns best explained by interactions with extinct animals and offered some striking examples of Neotropical fruits with anachronic traits. These ‘‘unfit’’ species share fruit traits and phenological patterns that are at least in part not expected from their interactions with the extant frugivore community, but logically explained if we consider the extinction or local absence of the main frugivores. 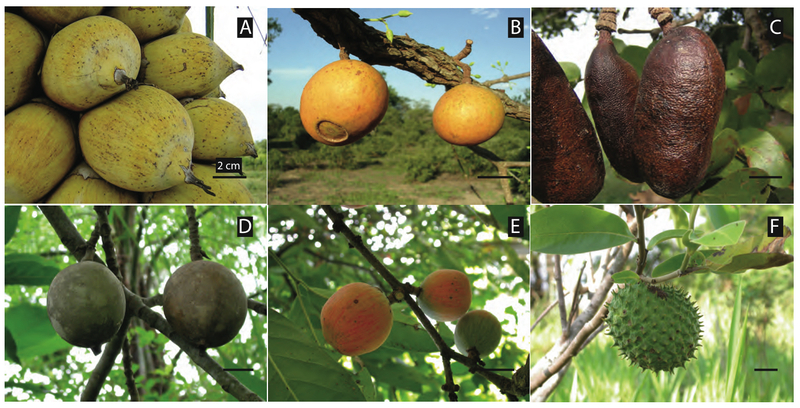 Key traits of megafaunal fruits include 1) overbuilt design, with large seeds protected mechanically by thick and hard endocarp and indehiscence, with nutrient-rich pulp and external similarity to fruits eaten by extant large African/Asian mammals; 2) phenological segregation of ripening times throughout the year; 3) fruits falling to the ground upon ripening; 4) fruits unattractive or not very attractive to arboreal or flying frugivores; 5) a large proportion of the fruit crop rots on the tree without being consumed; 6) frugivores include a large coterie of seed predators that might act sporadically as legitimate dispersers; 7) fallen fruits are avidly eaten by introduced horses, pigs, and cattle; and 8) natural habitats of the plant species today are alluvial bottoms on gentle slopes, usually along forest edges with grassland. It is clear that functional dispersal for many of these species operates in present-day neotropical communities by means of diplochorous and alternative seed dispersal systems involving other agents such as scatter-hoarding rodents, tapirs, cattle, some primates and even bats, as well as haphazard (runoff) and human-mediated dispersal. However, the loss of seed dispersal by extremely large mammals may imply marked shifts in the patterns and consequences of seed dispersal for these plant species. Ongoing and future research should unveil the signals of the “ghosts of past mutualisms”. Martin, P.S. & Klein, R.G. (1984) Quaternary Extinctions: a Prehistoric Revolution. University of Arizona Press, Tucson, AZ. The diversity of extinct megafauna frugivores was extremely high in different continents, and a number of them played a central role in the evolution of fruit traits we see today. While the largest South American extant mammal is the tapir (Baird’s, up to 400 kg), consider that 100% of megamammal species (body mass >1000 kg) and about 80% of large mammal species (those over 44 kg) from the Pleistocene South American fauna was extinct ca. 10-12 Kyr BP. At least 37 genera of mammals were eliminated, including most of the megafauna species (i.e., gomphotheres, camelids, ground sloths, glyptodonts, and toxodontids). All megamammals (37 species) and most large mammals (46 species) present during the late Lujanian (latest Pleistocene- earliest Holocene) became extinct in South America (around 30 genera of mammals vanished in North America, 17 in Australia, and 24 in Asia). In contrast, Africa lost 8 of 50 megamammal genera. Africa and Southern Asia are the only continental areas that have terrestrial mammals weighing over 1000 kg today. A number of the extinct Pleistocene megamammals were herbivores, grazers, browsers, and certainly did include fruits in their diet, probably in large amounts, thus potentially acting as seed dispersers for a variety of plants. This fact has been evidenced from coprolites and isotopic analysis of fossil remains, with additional insight from comparative anatomy and morphology. Present-day plant-frugivore interactions still have the signals of these ghosts of evolution. Haynes, G. (ed.). 2009. American megafaunal extinctions at the end of the Pleistocene. Springer, Berlin. Barlow, C. 2000. The ghosts of evolution: nonsensical fruit, missing partners, and other ecological anachronisms. Basic Books, New York. Most of the species shown in this great illustration from Sinammonite (http://sinammonite.deviantart.com/) were frugivorous (probably with the exception of the large carnivores) and legitimate seed dispersers of their food plants. The figure is high-res; you may wnat to zoom-in and seek the species names by the numbers. I’ll be posting a series on megafauna (extinct and extant) and megafauna-dependent plants that I’ve been contributing to our Facebook page Frugivores & Seed Dispersal during the month of December. The posts focused on megafauna frugivores and megafauna-dependent fruits and seeds, and the processes of dispersal associated with them. I also included other interesting posts on frugivory and seed dispersal, as ever, but megafauna was the focus. Hopefully we contribute to a better appreciation of the distinct ecological roles and the contribution of megafauna species to the functioning and maintenance of ecosystems around the world, specifically on their role as frugivores and seed dispersers. 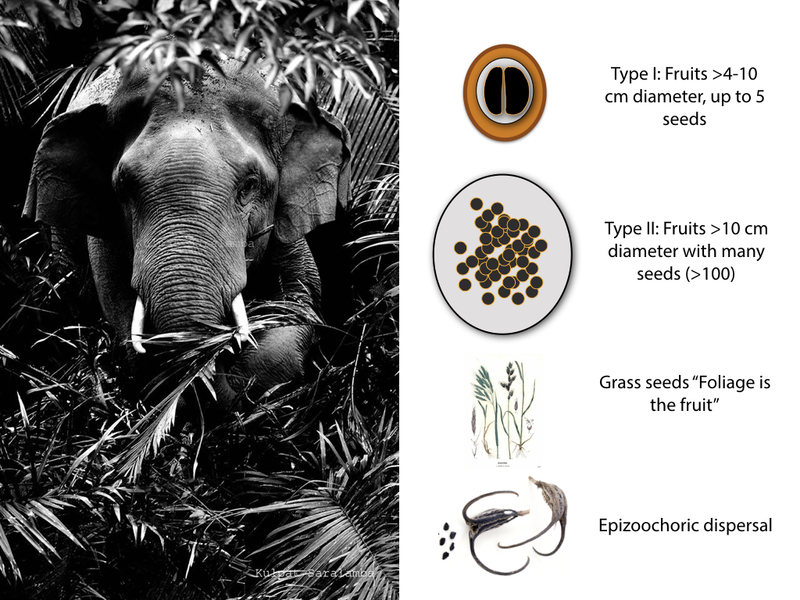 Among the most spectacular frugivores and seed dispersers we find the Megafauna species, those amazing beasts that impress every naturalist because of their adaptations, life histories, and specific traits. Yet megafauna species are being particularly hard hit by human-driven activities, notably hunting and deforestation. Megafauna species are traditionally defined as being above 40 kg body mass (i.e., > 100 lb), and include a full range of mammals (e.g., rhino, elephants, a number of antelopes, large primates), birds (e.g., ostrich, cassowary, emu), and reptiles (e.g., varanids, turtles). Moreover, think about the late Pleistocene (~12 Kyr BP) extinction of an even richest diversity of megafauna species: toxodons, terrestrial sloths, mamuths, gliptodons, gomphoteres, etc. The study of frugivory and seed dispersal (FSD) by megafauna opens a number of extremely interesting questions, ranging from the role of past history in shaping fruit traits, the lasting signatures of past extinctions of major seed dispersers for plants (e.g., in the genetic pools), the conflicts and interactions with humans in natural and seminatural habitats, the role of extremely long-distance seed dispersal by megafauna and its collapse following extinction, etc.